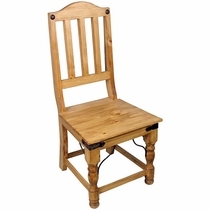 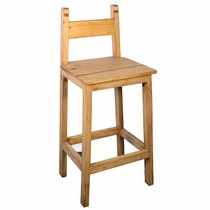 Our selection of rustic dining chairs are handcrafted from solid, kiln-dried pine and will add a casual rustic style to your dining room. 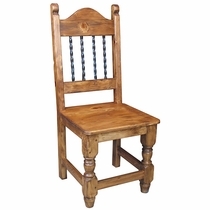 These classic Mexican pine chairs are right at home in any rustic theme, including, Mexican rustic, southwest, log cabin and Santa Fe styles. 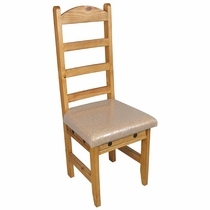 If you want to add more color to your dining room, check out our Painted Wood Dining Furniture.